Flight Centre is claiming to have a sale on flights from Toronto to various cities around the world. 99% of the time, the 'sales' announced by booking sites and travel agencies are nothing more than marketing noise and not genuine sales, but in this case Flight Centre is indeed offering international flights for $100 CAD less than the cheapest prices currently available anywhere else. On some routes that are already historically really low at the moment, this does make for pretty awesome prices. I'll list the destinations below that I feel are the best deals. There are others available on the Flight Centre offer page. UPDATE: I have been told by a Flight Centre rep that they are essentially offering $50-$100 off *any* dates, on *any* airline, to 36 different destinations, including some that are not listed on the offer page. If that's true, here are some destinations, dates and prices that may be available when you call. Have a look on Google Flights before you call, to find the cheapest dates and airlines. is essentially offering $50-$100 off of the price of *any* roundtrip flight to 36 destinations worldwide. There are *no* date restrictions or blackout dates, and it's valid for *any* airline. Don't be confused by the limited dates or airlines shown on their offer page, these were just examples. This offer is the most exciting when it's applied to roundtrip flight prices that are already at or near their historical bottom price, as shown in the deals listed above. You should probably check out the current prices on Google Flights first before you call Flight Centre, and look for the cheapest date combinations and airlines involved. Flight Centre should then reduce the price further by $50-$100, depending on the destination. Flight Centre has also confirmed that in the cases involving cities with multiple airports, this offer is valid for *all* airports. There are currently flights showing on FlightCentre.ca from Toronto to Bali, Indonesia (DPS) for $695 to $760 CAD roundtrip including taxes. With the Flight Centre promo ($100 off) they should be able to book them for $595 to $660 CAD roundtrip including taxes. However, in some cases the flights do have nearly full day layovers in Singapore. There may also be options with a full day in San Francisco. September and October are good months to visit Bali. The Flight Centre promo ends today (June 30). Airbnb is offering an incentive for new hosts in Toronto, $250 in free cash!. toronto, yyz, westjet, flight deals, europe, northern europe, western europe, new york city, new york, newark, new jersey, united states, ewr, southern europe, netherlands, air canada, central europe, icelandair, reykjavik, iceland, kef, nordic countries, amsterdam, ams, bangkok, thailand, asia, southeast asia, east asia, athens, greece, ath, balkans, southeastern europe, south america, honolulu, hawaii, hnl, manila, philippines, mnl, hong kong, hkg, lga, lima, peru, lim, bkk, indonesia, denpasar, bali, dps, north america, laguardia, waikiki, oahu and china eastern. 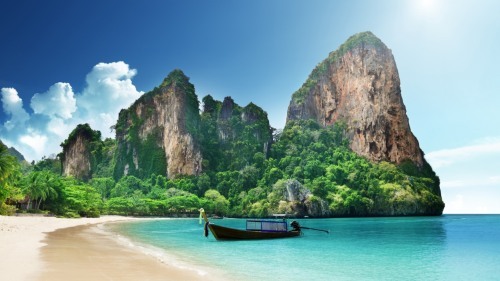 No Responses to "Toronto to Thailand - $579 CAD roundtrip including taxes | Amsterdam for $495, Iceland for $349, Hong Kong for $569, and 32 other cities on sale"